Advanced electronics include a new Suzuki Bi-Directional Quick Shift System as standard equipment, an Inertia Measurement Unit, S-DMS adjustable engine output, and Traction Control* to increase track and street performance. 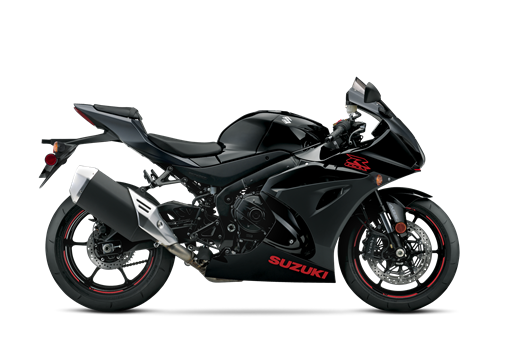 The GSX-R1000 is now available in a new Glass Sparkle Black/Metallic Matte Black color scheme that also features red graphics and wheel trim. The 4-2-1 exhaust system is designed to help the engine deliver a wide range of performance with an exciting rush up to redline. The new, black-finish titanium muffler with heat shield has an improved appearance while creating an exciting, distinctive sound. The cooling system was designed using advanced analysis design so the coolant flows through the engine and radiator more efficiently. This design uses 400cc less coolant than the prior-generation GSX-R1000, but the new system has better cooling efficiency while being more compact and lighter. New to the GSX-R1000 is the standard fitment of the Suzuki Bi-Directional Quick Shift System previously only available on the GSX-R1000R model. This system allows for clutch-less upshifts and downshifts when the motorcycle is used in competition. Exclusive to Suzuki, the new Motion Track Anti-lock Brake System (ABS)** brings additional control to anti-lock braking. Like a conventional ABS system, the Motion Track Brake System provides the appropriate amount of braking force for the available traction. When the IMU detects the rear wheel lifting up from extreme braking forces, the ABS control module will adjust the front brake pressure to reduce the rear wheel lift. New to the GSX-R1000 as standard equipment is the Suzuki Bi-Directional Quick Shift System that lets racers shift faster than ever before. By ignition timing manipulation on upshifts and electronic throttle body manipulation on downshifts; clutch-less shifting helps deliver faster and more consistent lap times. 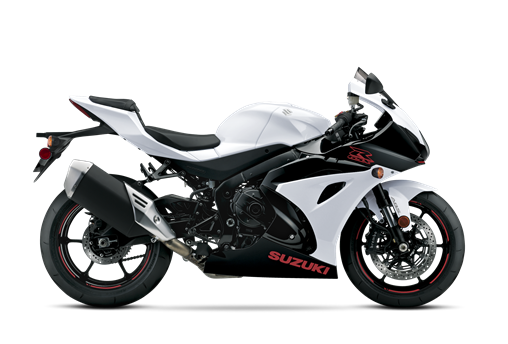 The aluminum twin-spar-style frame was designed using FEM analysis technology to place strength in the proper places; the new frame is also 10 percent lighter than the prior-generation GSX-R1000. The spars of the frame are set 20mm closer to help improve aerodynamics and looks and to bring more comfort to the rider. Brembo T-drive Brake Rotors feature two methods of attaching the 320mm floating disc to the carrier. There are five conventional floating rotor spools that maintain the rotor’s relationship to the caliper and five new-design T-drive fasteners. This combed attachment technique allows the rotor to absorb more energy, so a high degree of braking force is available to a GSX-R1000 ABS rider. New for the 2019 GSX-R1000 is the fitment of track-day-ready Bridgestone Racing Street RS11 low-mass tires. The tires' tread pattern reduces wear and increases grip for improved high-speed cornering.